SEO, or search engine optimization, is the process of making a website more visible in a search engine’s natural or unpaid search results. The idea is to have the website be first or near the top when potential customers search for it on a search engine like Google. The higher up in the search the website is, the higher the chances of it getting traffic. This kind of visibility is important for people doing business online. The competition among these businesses is stiff and businesses will have to make sure that they capture the attention of their target market. There are various types of searches ranging from image search, video search, local search, academic search or even news search or any industry specific searches. SEO ranking tools that are free are those tools that the user can make use of as much as he wishes without having to pay anything. On the other hand, freemium tools have both a free payment model and a model that have premium rate plans depending on the needs of the customer. The free part of a freemium model is usually very limited while full access is granted to those that pay the premium rates. Below are some examples of SEO ranking tools that can be used to better improve the user’s website. The first on the list of SEO ranking tools is the Adwords keyword tool. It is very important to remember that each and every SEO campaign should start with keyword research. Keywords have such a profound impact on a website so it’s important that the right keywords are used and selected. 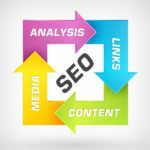 Ideally a wide variety of SEO ranking tools should be used. The Google Adwords keyword tool is a good example of a free keyword research tool. It isn’t without flaws though so when the tool mentions that there are 50,000 people searching for a ‘website link’ every month, don’t take it at face value. It can also help in giving ideas in coming up with some really good keywords. Another one of the SEO ranking tools is the SEO book. This is a freemium tool that has a lot of free SEO tools as well. To be able to use the tool, the user must first create a free account in their website. Once the user has registered, unlimited access is provided to all the free tools. These free tools include a few extra ones as add-ons like a keyword density analyzer, an ad group generator for adwords, a page comparison tool for finding keywords as well as a typo generator that can show the most common typos for keywords. Stats about on-site optimization are very important for a website. Important information like these should be known or readily available as modifications based on stats can help boost traffic easily. There are browser extensions or plug-ins that can help provide the information right away. For example, when using the Google chrome browser, the SEO site tool extension provides a wealth of knowledge in terms of SEO for every page that is visited. The other great thing about this tool is that it can be used on the personal website to get some optimization tips that can be found under the suggestions tab. Another example of SEO ranking tools is the use of an open site explorer that can be used for competitor backlink research. This is a great tool to find link opportunities for a website’s link building campaign through the research of backlinks of competitor’s websites. This research can help the user see what types of links the competition is getting and also provide possible links that the user can also get. Some open site explorer tools allow the users to enter a domain and view that specific domain’s backlinks. These tools are usually of the freemium type. For instance, for the first 5 backlinks of a domain, the user can see full detailed information like link anchor texts, domain authority and page authority. There’s also a limit to how many reports can be viewed on a per day basis. The number is usually small like 3 to 5 per day. If that much data isn’t enough, that is when the subscription kicks in. Subscribers who pay a fee can get unlimited reports, view up to thousands of backlinks, export those backlinks to a table and use other freemium tools included in the subscription package. For these types of services, there are usually 30 day trials to give the user a feel of what they will be getting if they choose to subscribe. Subscription rates are usually on a per month basis. If the user is interested in paid search as well, there are also a number of SEO ranking tools that can be used. When it comes to paid searches, it is important to see where competitors rank for the keywords that they are using. Applications like SEMRush help address those questions. Users can run reports showing a certain number of keywords by entering a domain and clicking on the full report link under the organic keywords tab. Other important information can be shows like the domain’s approximate organic ranking as well as search volume and percent of traffic generated. If the user is also interested in article marketing, it is important to know how well the article is doing per search. Some SEO ranking tools show graphical representations of these. These services are usually served as a freemium type with free but limited service and paid full services. There are a lot of SEO ranking tools that can be used to better improve the performance of a website. It is important to not just rely on one tool specifically but to use different types of tools together to get the best results. There are a lot of tools that are available online that intends to bring customers and businesses together. You can find out about some of these at Rob Fore’s MLM Lead Generation Bootcamp. You will find that some of these tools are free while others offer premium services at a certain cost. For a first time online business, it would be good to learn more about the different SEO ranking tools as the needed tools vary depending on how the site is going to be set up.